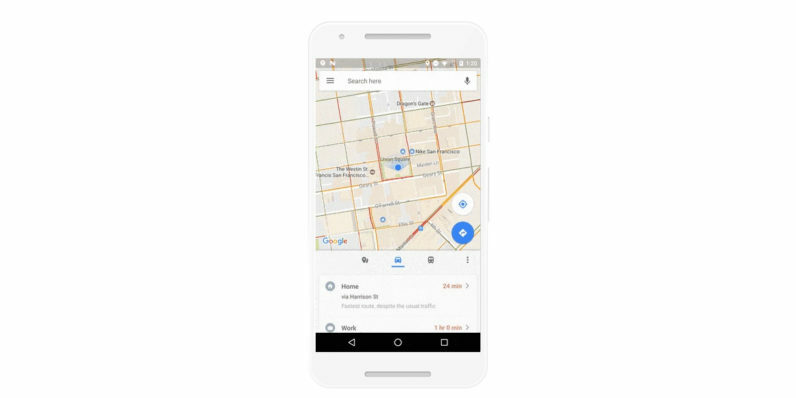 Google is tweaking its Maps app for Android with a clever interface update that puts three informative tabs at the bottom of your screen. The places tab shows you nearby restaurants, bars and cafes curated into lists, as well as ATMS, gas stations and grocery stores. The driving tab displays traffic around you, as well as travel times to your home and work addresses. You’ll need to save those in the app for this feature to work. Finally, the transit tab lists public transport options for getting home or to your workplace, along with information about when the next bus or train will arrive at a stop close to you. With easier access to commonly used functions, the update should make the app easier to use when you’re out and using your phone with one hand. It’s currently rolling out on Android and should become available globally soon.